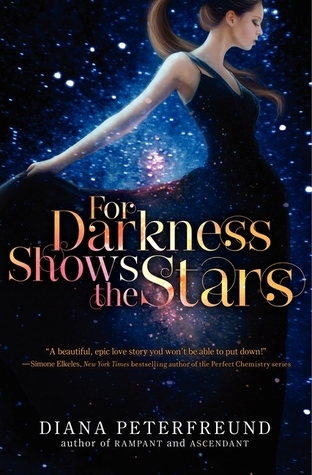 First Novels Club: Why FOR DARKNESS SHOWS THE STARS has the Jane Austen Triple Threat. Thanks for the shout-out! And great review! You hit the nail on the head with all three points: there's so much swoon, I loved the characters and the world was fantastically well done. I hadn't read Diana Peterfreund before this either, but I'm going to make it a point to read her future (and past) works! I would add to your Triple Threat Austen's use of wit and irony to write about the ridiculousness of her society and people in general. I don't think I would take anything off your list though, so I don't know what to do about that.